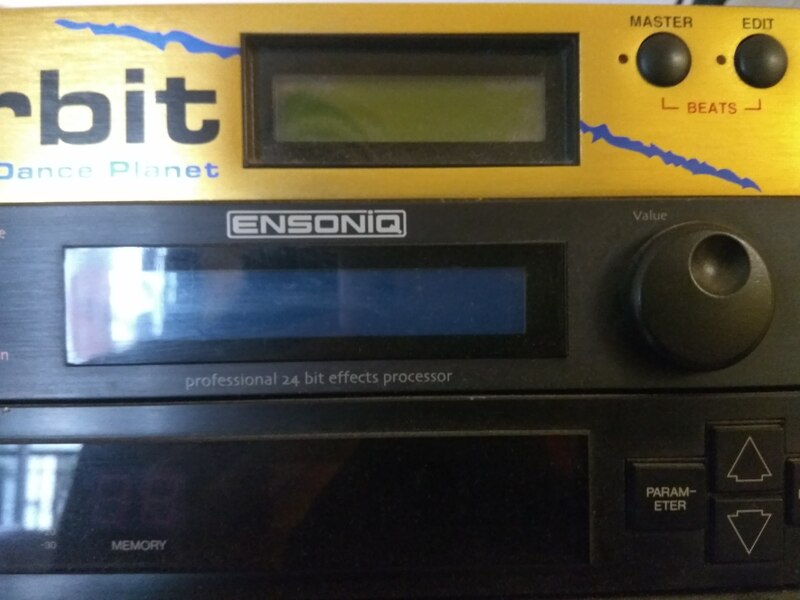 DP/PRO, Multi-Effects Processor from Ensoniq. 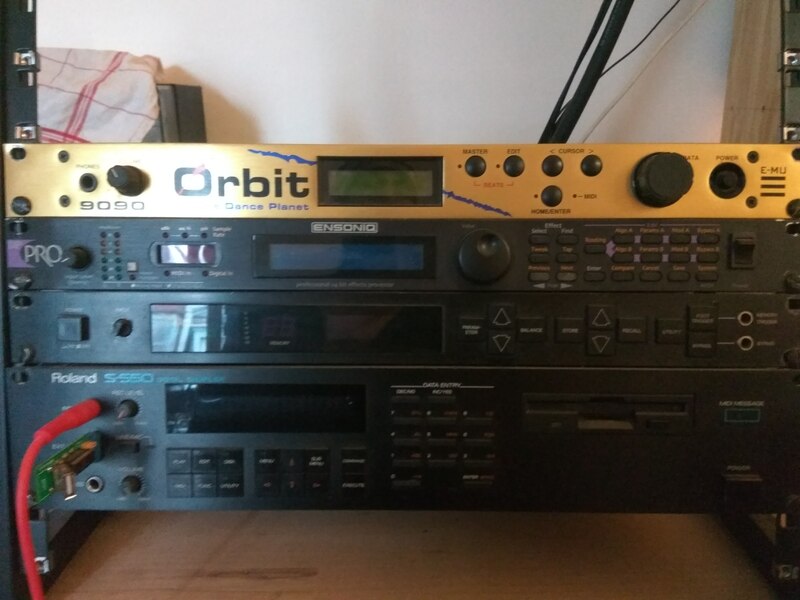 arnoldorodeo's review (This content has been automatically translated from French)" Superb effects rack"
DP Pro in Ensoniq is stereo rack 1U generating effects such as reverb, chorus, flanger, DDL ... 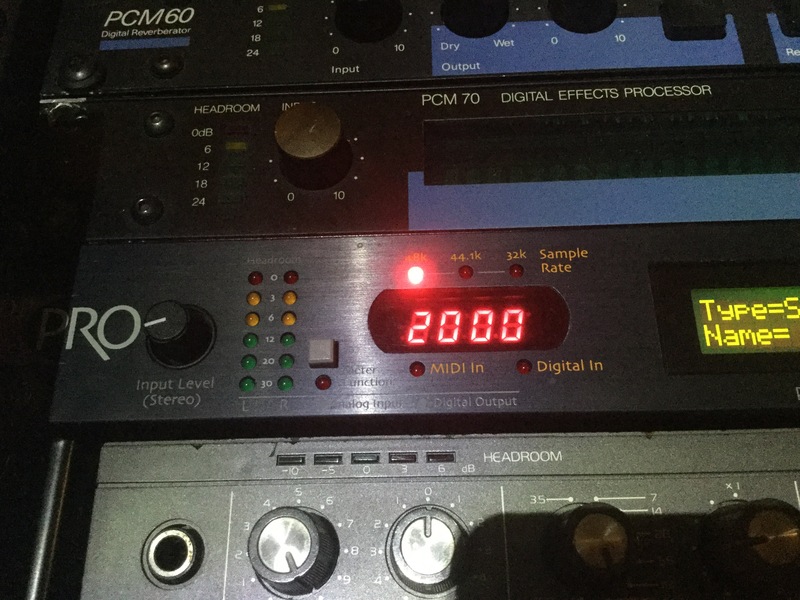 Some guy mastering effects include gate, deesser, expander and compressor. DP Pro is deemed capricious (relative to its OS, mine is 1.07) but for the moment nothing to report: my backups patches are going pretty well and the machine responds to any of my requests noon or manual. In terms of configuration, you can not say that the uniquely Ensoniq philosophy is simple or affordable! I am also still trying to discover the joys of external effect control. However, I must admit that this complexity in editing menus and sub-menus actually a formidable weapon for managing the effects and how to integrate them in the studio. Just be armed with patience (instructions to read highly recommended) and experiment a lot in a quiet home. The heart of the matter: The sound quality. Both say right away: she is very particular and will not suit all types of arrangement. Do not misunderstand my point, the effects of DP Pro are superb, although broad and detailed in terms of stereo image, and very accurate for most. But I sometimes found difficult to integrate with effects, whatever mixes. Therefore mistrust. The reverbs are very typical, special "non linear" gated reverb and who are awesome mention. The chorus & flanger are true to their reputation, very effective with an air of heard (french touch) for some presets ... The delays have not really impressed me, as the filters. However the "mastering" section and dynamic presets is a total success: Ideal for a reboost stem in your DAW (DP memory is stereo ....), the compressor section can be easily substituted for some high-end compressors. Note that the converters are really transparent: no noticeable breath through my Prism. My final impression is that the DP Pro is a generator of the effects of the highest order but it must be used sparingly. We quickly tried to put too much and it is rather tricky in terms of temptation. Compared to some bundle of plugins, DP Pro is just complementary, a real bonus. This is a recent purchase and I will put an additional notice in a few months. Nevertheless it is a great rack that we feel all the capabilities "under the hood". For me to make the most now! 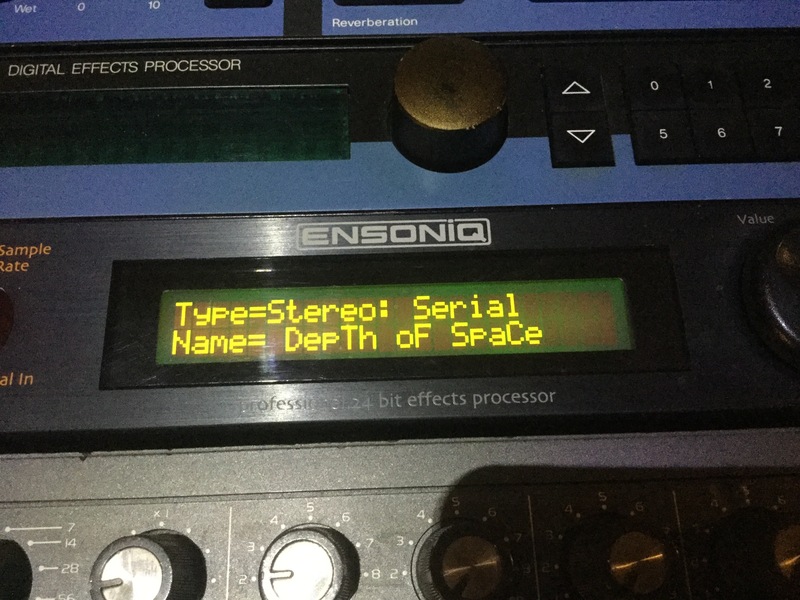 This is the latest multi-purpose product Ensoniq the era to compete in the market for PCM80 and M2000, and commercial flop shot trs few units produced especially because of his name that was too dp2 think a repackaged. The CHARACTERISTICS: 2 processors VLSI ESP-2 (Next-Generation MIPS turning 48 each), combo connector jack / xlr, noon and 3 ports entrepdale. 35 algos to choose among several types of reverb (short, halls or non linear), delays, multitap multi pitch shifting, multi chorus, phaser, flanger, panner / Stereo expander / tremolo, chat box (formants ), distortion, modlisations damplis, compressors / limiters 3 bands, various limiters, de-esser, gates, qualiseur Settings, a loop recorder with time stretching, an gnrateur signal and several algos Combining both effects (distortion + phaser, etc. ..). 256 user banks, 128 banks factories, give basic research of effects, 6 types of routings (dual mono / STREO SERIES / parallle / feedback), two external and one lfo implmentation twelve o'clock rel ultra bttn time. Everything is configurable, Full MIDI implmentation, tons of paramtres (fifty for example a reverb algorithm, plus custom settings for routing, mixing, LFO modulation and external). Prvoir few crashes of the complexity of software that has never dailleurs t compltement dbugg including lorsquon makes a backup of preset parallle with audio processing. Some big crashes can trs rare ncessiter a total rebooted. Back-up sysex banks strongly recommended. Paramtres of algos too brief document, however, the minimum no less. The big sound amricain! 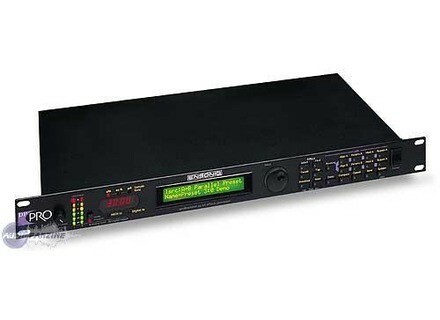 multi-chorus / flanger / phaser are absolutely fabulous, the dlais / multitap / distos and are correct but not exceptional. Compressors (including multi-band) / Gates / eq / rev limiters are against trsrussis. The TRS rverbes are also good quality but did not reach those of the Lexicon PCM, here are a little rough and a lot more colors, less class. The +: Ultra powerful in terms of programming options, many characters (really has nothing to do with its chemical vst plugins), any custom settings are adjustable the same lfo them, twelve o'clock raction treatment time range, accuracy and exceptional rel phnomnale (feeling rel time time stretching on the lines of dlais the most beautiful effect!) and phaser and flanger rputs Ensoniq monstrous. The -: the software is not 100% stable, especially when you push the machine to its limits. Verdict: this is not a standard effect to the extent that the potential cratif is standard, it is really great to express (some lfo rise 20Khz qd same! ), The Level I prog m'clate always the same with and I still discovering, in short, excellent sound design a little temperamental at times but frankly has remained a killing!